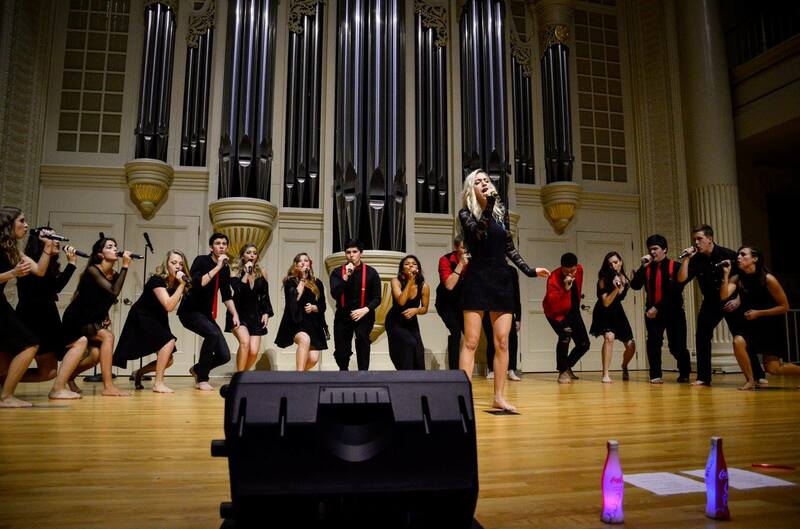 Primal is not a word we typically throw around for a performance, but there's really no better word to describe this. Have you ever experienced a performance by an artist that was so raw, so intense, and so earth moving that it causes you to re-evaluate the limitations of an artist? Well, this mashup by Elon University's Twisted Measure is causing us to do just that. In today's #WCW, Twisted Measure channels every ounce and fiber of soulfulness and sheer intensity to deliver this folk stunner. The power behind the voices of both leads wash over you in effortless fashion, keeping you in a sort of trance through the entire 4:48. Equally impressive is the entire group as every moment of the backing sounds are incredible, down to the dramatic stomp and clap section towards the song's end. There are very few covers that can stand up to this, and we applaud Twisted Measure for earning that distinction.